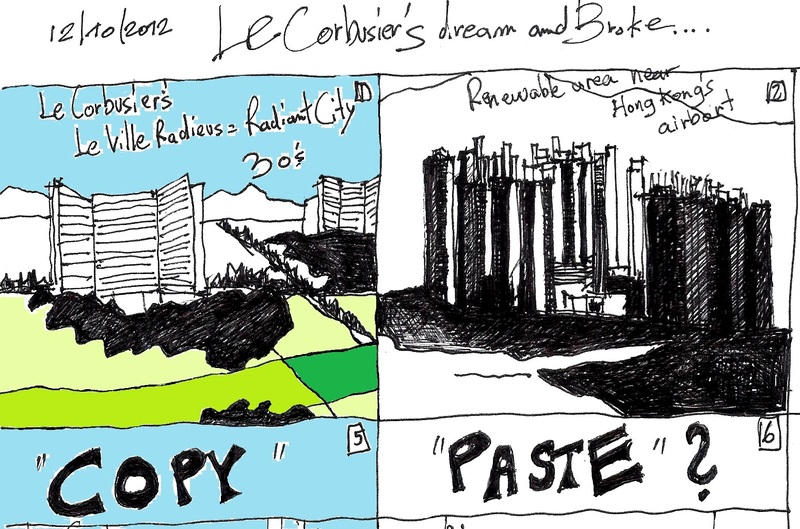 Le Corbusier’s “dream and broke”…. 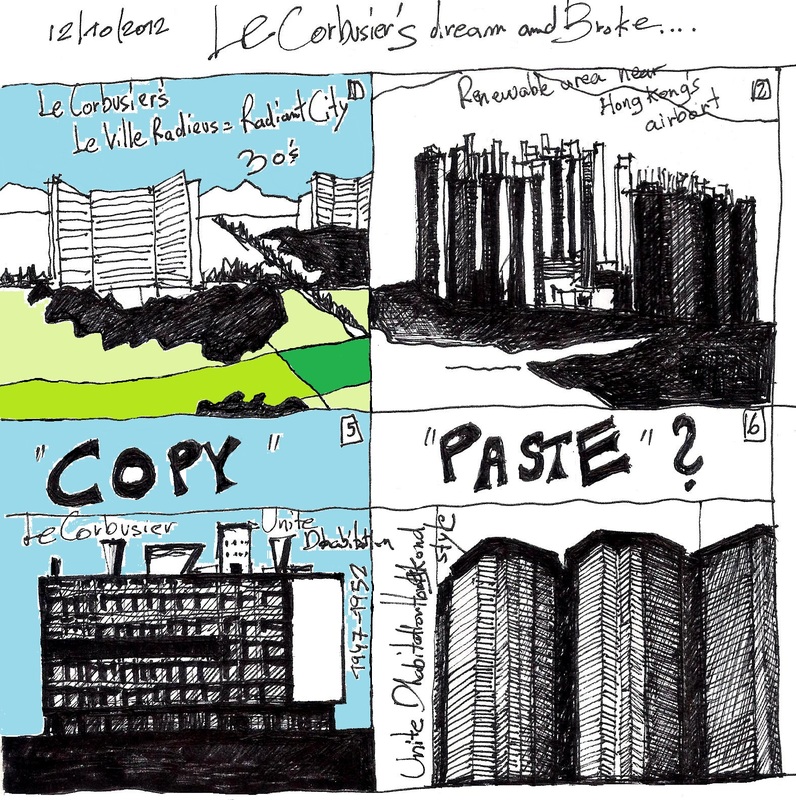 This post tells Le Corbusier’s tragic story …. And this is how the story starts…. 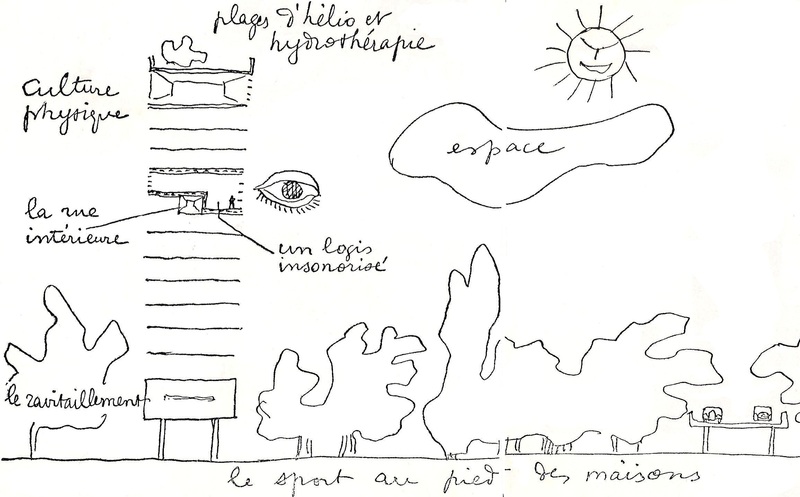 It all started with Le Corbusier’s Vision of a La Ville Radieus = Radiant city, in the 30s’ of the last century. 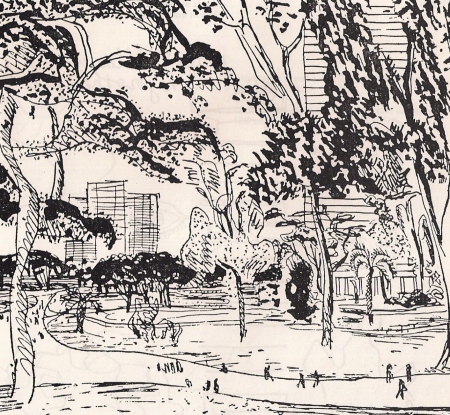 La Ville Radieus promised future of sunshine, fresh air and greenery for city-dwellers. 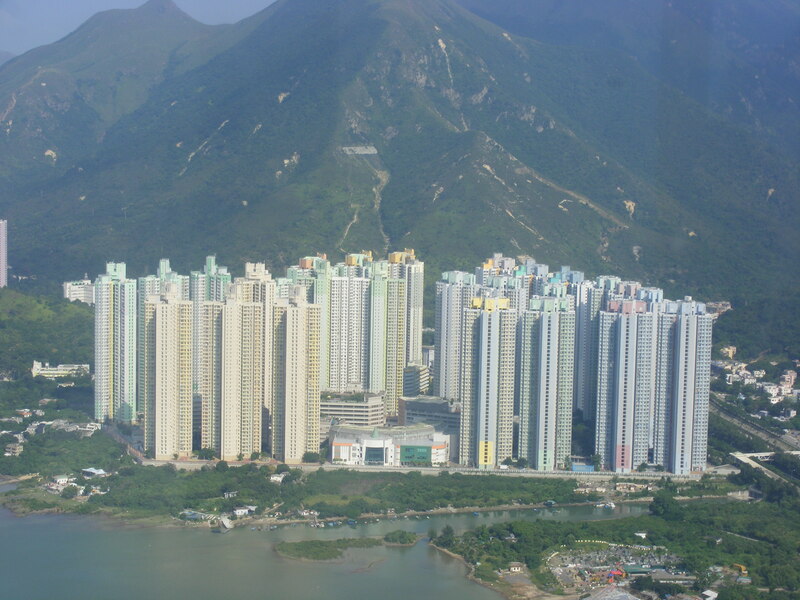 The design maintained the idea of high-rise housing blocks, free circulation and abundant green spaces…. The blocks of housing were laid out in long lines stepping in and out, and were raised up on pilotis. They had roof terraces and running tracks on their roofs. La Ville Radieus will be the vertical garden city…. 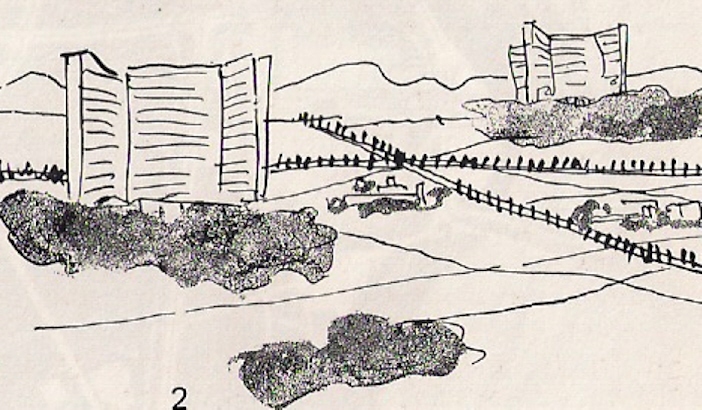 sketch by Le Corbusier showing the Radiant city, high-rise housing blocks and the green landscaped spaces surrounding them…. 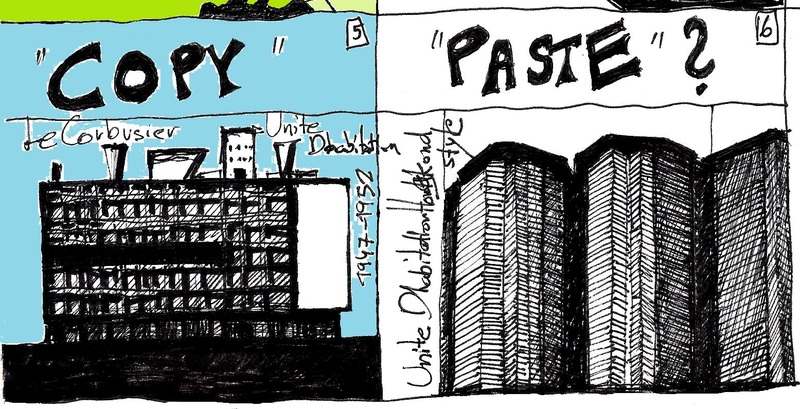 The next sketch by Le Corbusier, is showing a typical section of Unite D’habitation =high-rise housing block . 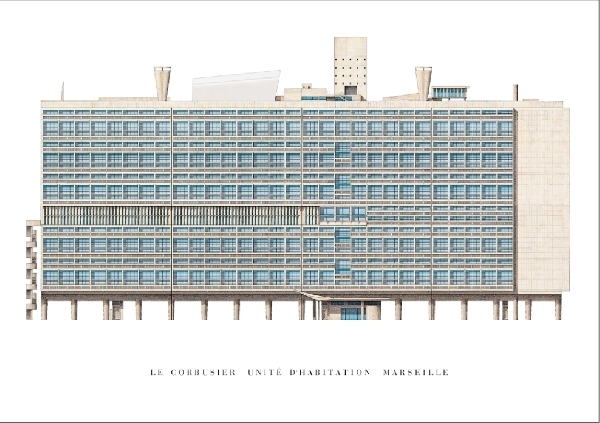 Unite D’habitation in Marseille was the first order Le Corbusier received from the French state starts to be scheduled immediately after the Second World War (1945-46), and was finished in 1952. 1. Le Corbusier’s Unite D’habitation in Marseille comprises 337 apartments arranged over twelve stories. 3. The building also incorporates with shops ,sporting, medical and educational facilities, a hotel which is open to the public, and a gastronomic restaurant. 4. Its flat roof is designed as a communal terrace with sculptural ventilationstacks, a running track, a shallow paddling pool for children, and an open-air theatre. 5. The building is constructed in béton brut (rough-cast concrete). Notice the Uniqueness of this building…. piloties that aloude free circulation and abundant green spaces,The flat roof designed as a communal terrace, The Internal Street(third floor), with shops, medical and educational facilities…. 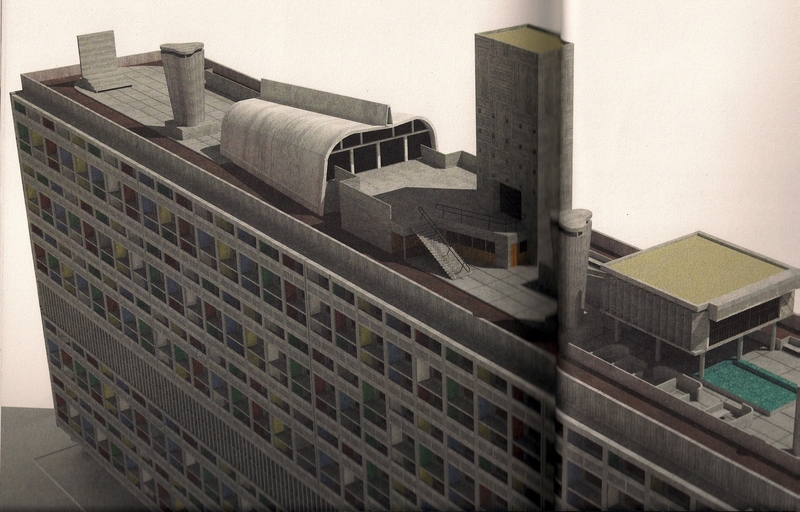 Le Corbusier painted the apartments in different colors, to create an identity for each resident.. 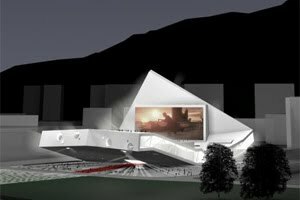 Inspired ,architectural projects, being built in our time…. Where are the fresh air and greenery? Where is the vertical garden city? Where are the “green, landscaped spaces”? Is this the “radiant city”Corbusier imagined? And this is a typical “Unite D’habitation” …. 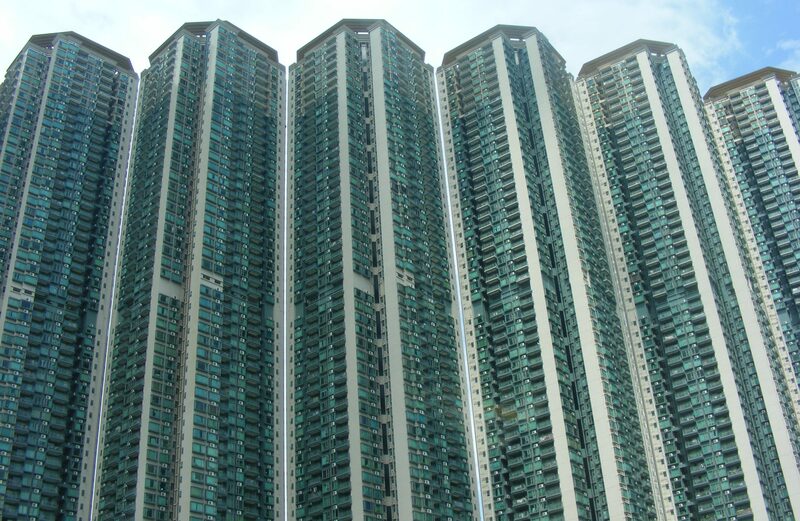 Hong Kong’s style….built in recent years. 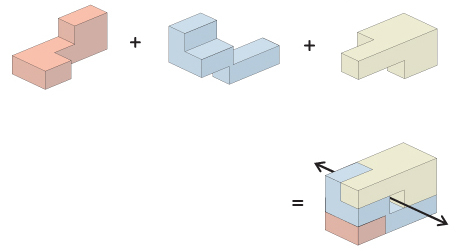 Where are the raised up pilotis? Where are the green landscape spaces? Where are the communal terraces? Is this the“Unite D’habitation” Corbusier imagined? 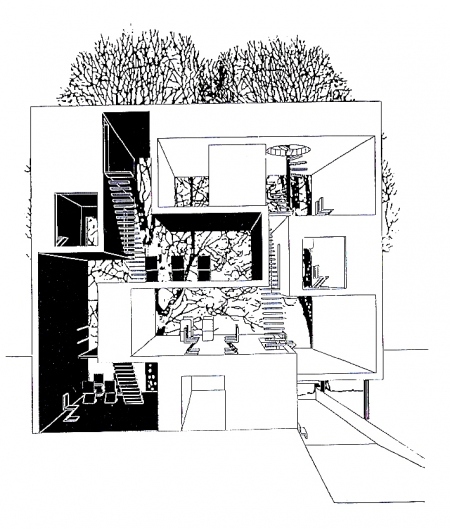 What is remained from le Corbusier’s vision of the “Unite D’habitation”?…. 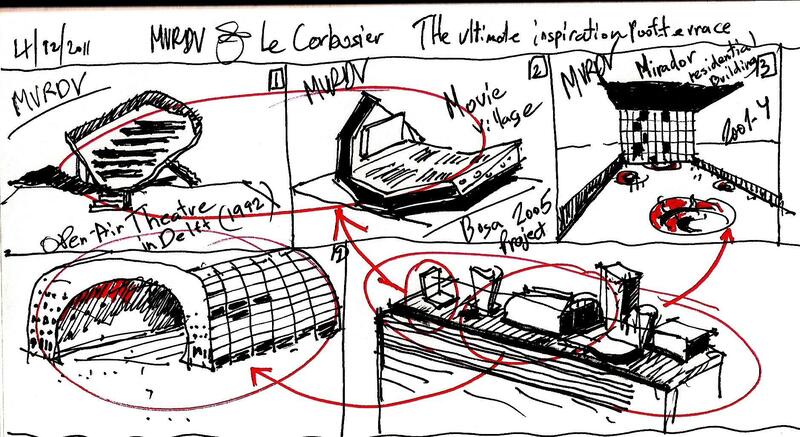 From Eliinbar’s Sketch book 2012 – Le Corbusier’s dream and broke “Unite D’habitation”. I will present projects designed according to the principles of “Conscious Inspiration” and “Unconscious Inspiration” for you to judge…. I can’t finish this post with bad taste…. 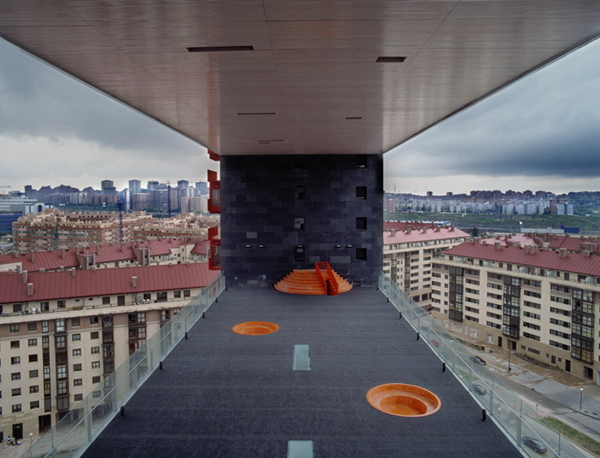 So what do you think about MVRDV’s Mirador residential building shown in the next image? 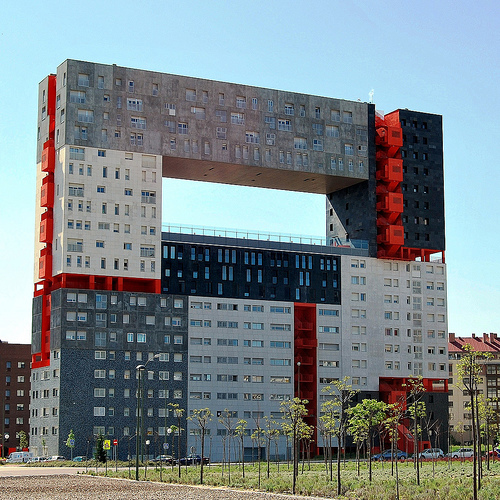 This apartment block is probably inspired from Le Corbusier’s Unite D’habitation ….is this an example of “Conscious Inspiration” or “Unconscious Inspiration” ?…… for you to judge…. 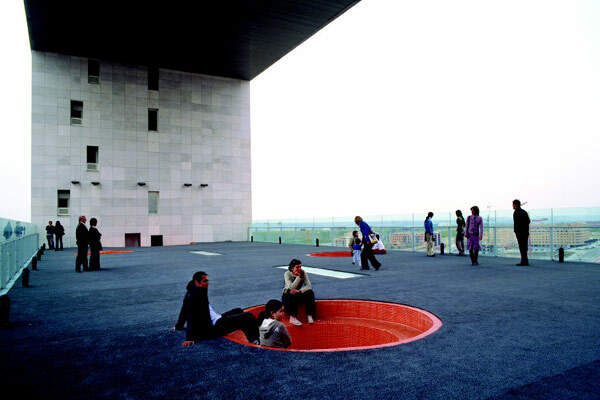 Note for example, MVRDV’s innovative approach to the “communal terrace”…. 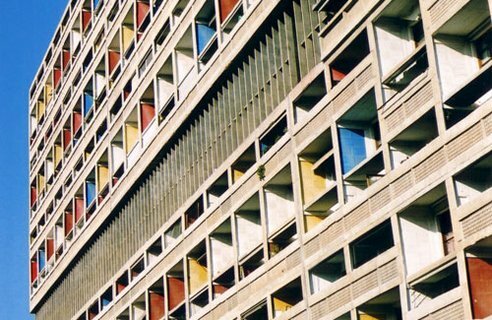 In this post and the following posts, I want to share with you a fascinating discovery about Le Corbusier’s “Unite D’habitation” in Marseille. The building is constructed in béton brut (rough-cast concrete) and was finished in 1952. 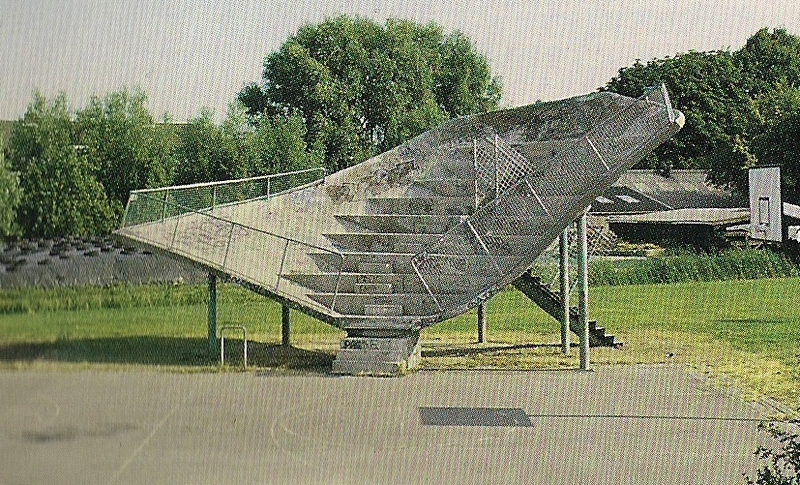 Their first realized commission was the new offices for VPRO in Hilversum, Netherlands (1993–1997). 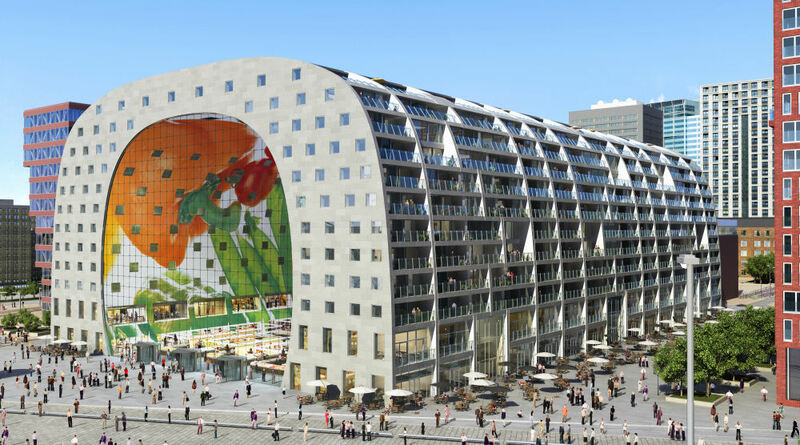 MVRDV is well-known for its philosophy of densification and multiple space use. The office researches and debates global ecological issues such as the consequences of urban sprawl, the bio-industry and climate change. 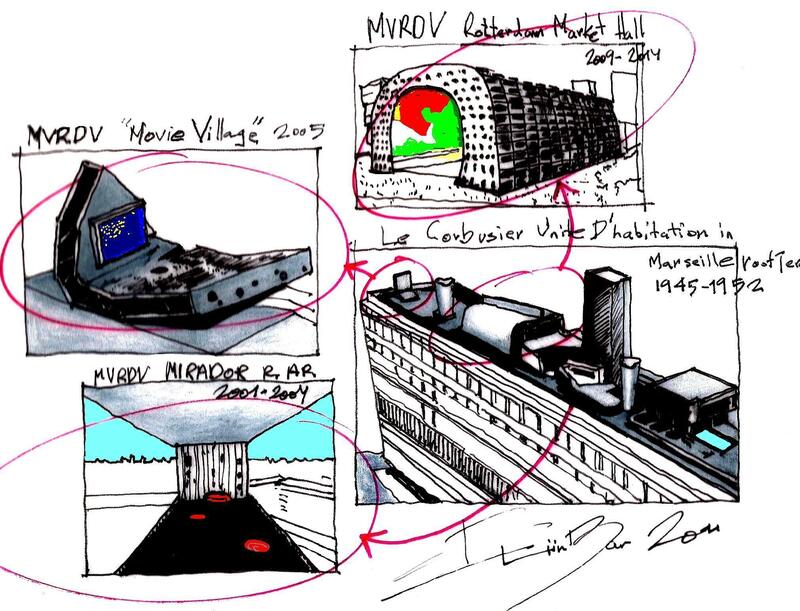 An MVRDV’s urban design project that draws my attention, is the research master plan into the future of greater Paris. 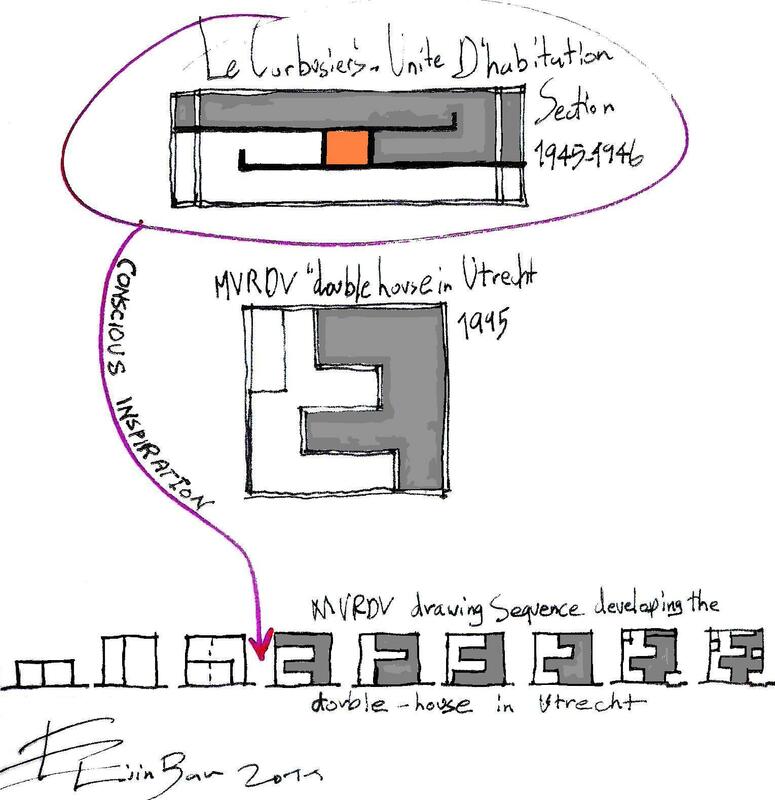 Le Corbusier’s Unite D’habitation is characterized by a cellular morphology.Le Corbusier developed a system of interior “streets” every three floors that provided the horizontal access to interlocking cross-over units.